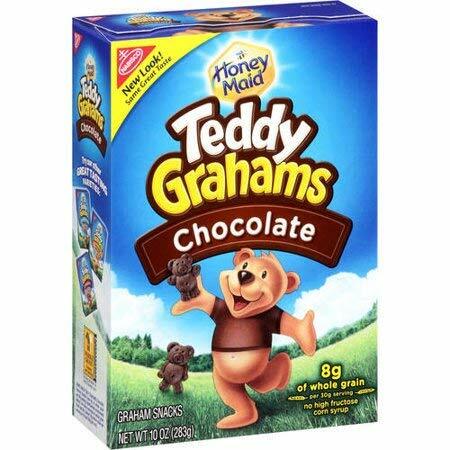 Satisfy your snack cravings with this Nabisco Teddy Graham Chocolate 10 oz. It has a delicious flavor and a nice crunchy texture. This Nabisco chocolate is not only tasty but a healthy choice, as well. It contains 8 grams of whole grain per serving and is high in calcium. This snacks chocolate contains no high-fructose corn syrup. Put some in a bag and include them in your child's lunch. They make a fun treat to have in between meals. If you have any questions about this product by Nabisco, contact us by completing and submitting the form below. If you are looking for a specif part number, please include it with your message.